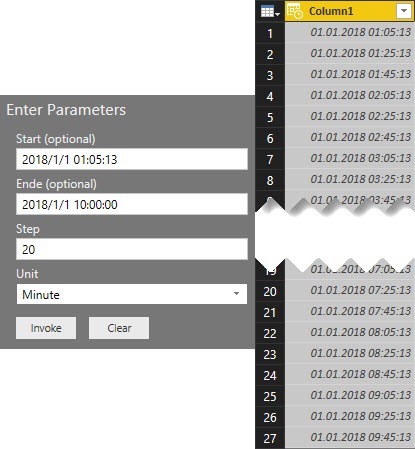 I am a huge fan of Power Query and the M language, but honestly I find it a bit inconvenient to create lists of date values or datetime values, using the standard M functions List.Dates() and List.DateTimes(), mainly because I cannot define an end date/ datetime value for my list, but have to specify the count parameter. 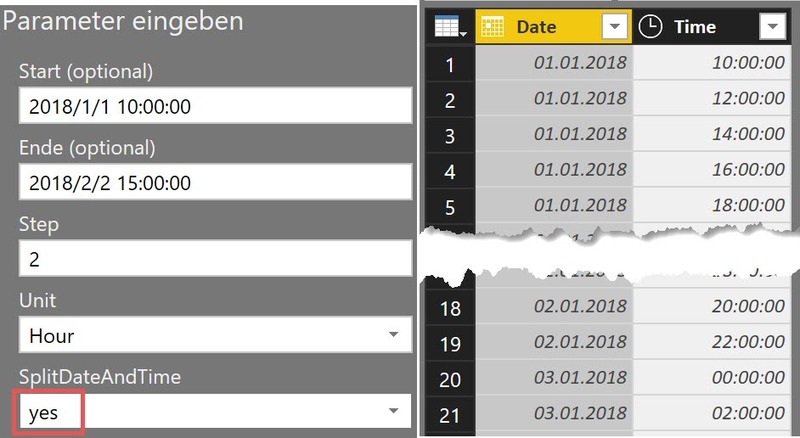 For that reason I created my own custom function GetTableOfDateAndDateTime(), which I want to share and explain with this post. You can copy all code samples from down below. If you already have my Power Query editor for Notepad++ (or want to build it) you can paste the code in Notepad++. 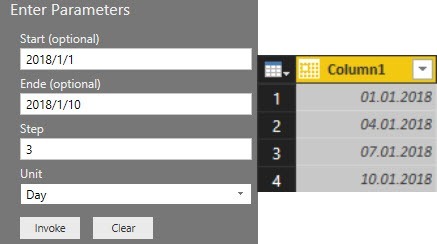 Otherwise just copy it and paste it into the Advanced Editor of Power Query in Excel or Power BI Desktop. All other points below remain. 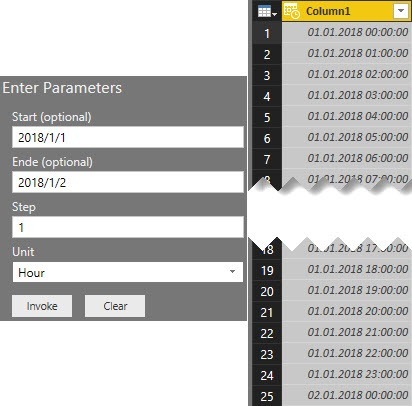 The purpose of this function is to easily create tables for date and datetime values with any increment, based on a start date/datetime and an end date/datetime. Here you learn everything about accepted parameters and the rules how to use them in the function. Start and End must be of the same type. They must be either of type date or both of type datetime. Start must be before End. 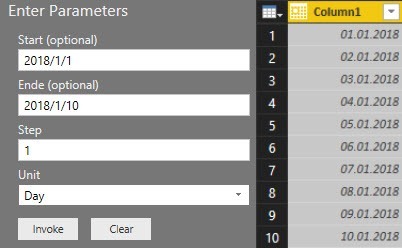 Even if your entries for Start and End are of type date, you can let your table grow with the units Hour, Minute and Second. In this case, the calculation starts at 0 o’clock on the start day and continues until the end day at 0 o’clock. The following example shows how to grow your table by hour, starting at 1st of January 2018 and ending at the 2nd. You can use the following M code as you like. 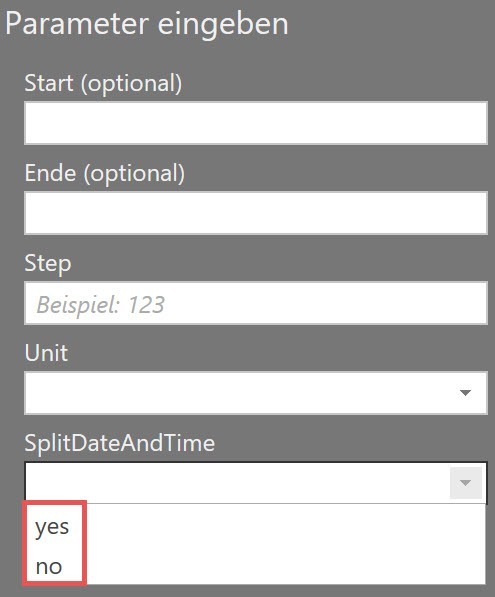 Just copy it into the Advanced Editor in Power Query and give it a meaningful name, e. g. GetTableOfDateAndDateTime. I am looking forward to your feedback and suggestions for improvement. Hi Lars! Nice and convenient function. thanks for your feedback. Fair point. I will add this shortly to my function and update the documentation here.